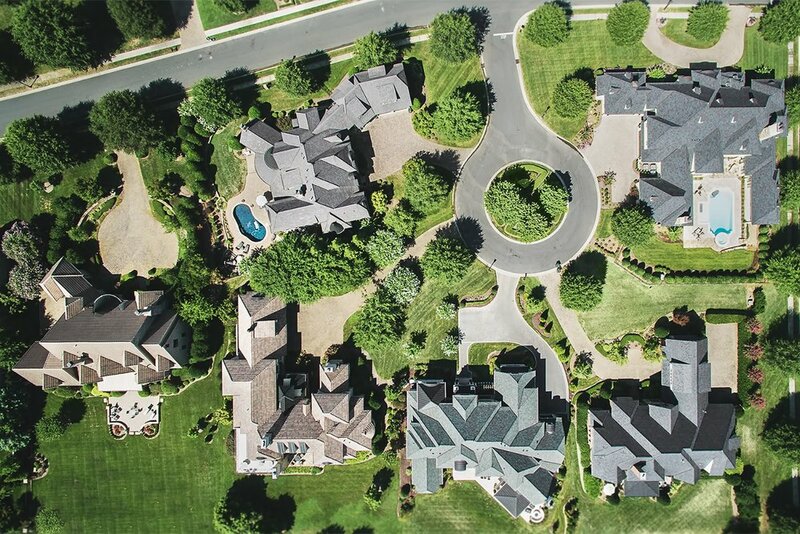 At Six Cents Media we strive to take our aerial photographs and aerial drone videos to creative new heights for professional real estate agents looking to set themselves apart from their competition. We don't just come and fly a circle around your property and then send you an aerial video where there is no cohesion, no flow. We take our time looking for the best ways to showcase the house from an aerial view. An aerial view doesn't always mean from high up in the air. With our drones we have the capability of getting down real low to the ground as well as up to 400 feet in the air. Having a film background helps differentiate ourselves and we use the same camera techniques that they do in Hollywood, only the star of the show is the property. 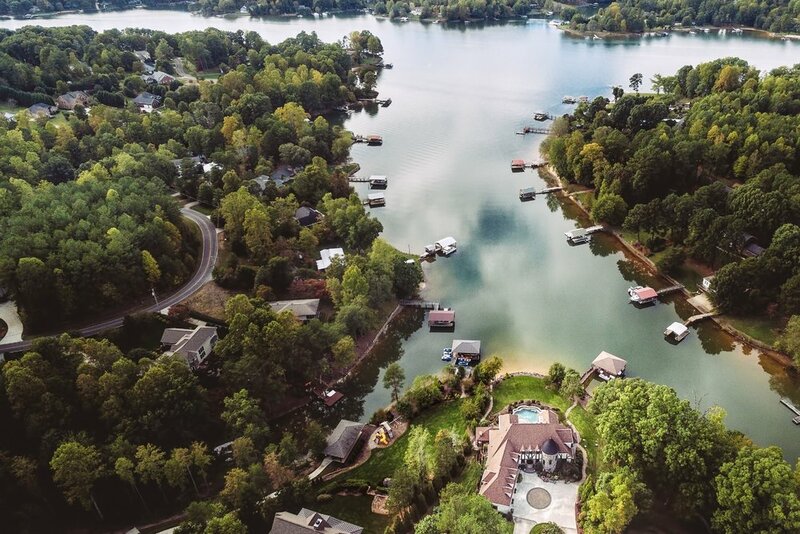 Exceptional, high-end properties, like those in the Lake Norman and Lake Wylie area, best reveal their full worth with a bird's eye view that shows potential buyers the best features of the home and it's location to the water. Aerial views highlight the layout of the property and provide orientation to points of interest on and around the lake. Seeing the home in this perspective will allow it to basically sell itself. This makes your job that much easier. All you have to do is wait for the offer. Interested in making your listing really standout in a crowd? Customize a package including real estate and aerial photography as well as virtual tours and aerial video. Be sure to check out the other tabs for more information or contact us to chat. Aerial Real Estate HD Videos for Residential, Luxury, and Commercial Properties in the Charlotte Area. 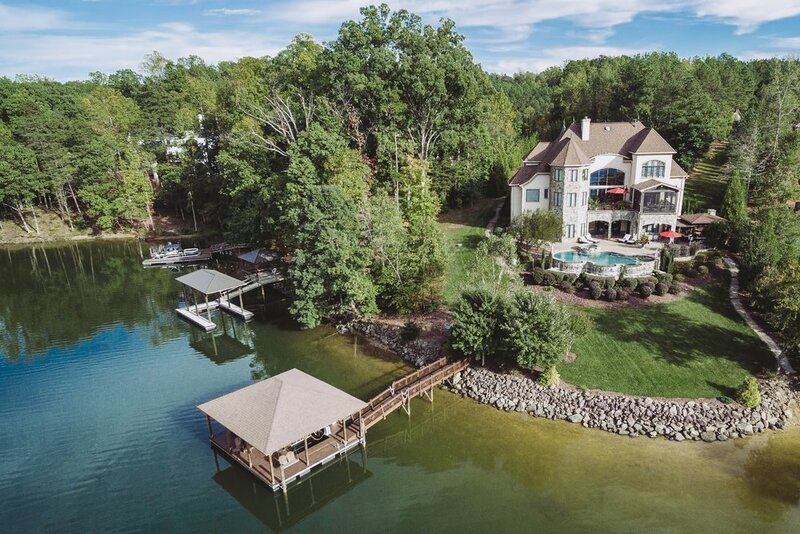 A beautiful home sitting on the waters of Lake Norman, brought to you by Lake Norman Mike. Safety is a top priority and we take numerous precautions to ensure a safe flight while using our UAS. We always conduct a pre-flight inspection of our aerial imagery drones and equipment. We walk the area to check for any hazards (telephone lines, trees, or other objects that could pose a risk) and a direct line of site is always maintained while our drones are in the air. We are fully licensed with the FAA and adhere to their guidelines at all times. Just for piece of mind, we do have injury and property liability insurance for our UAV (unmanned aerial vehicle) operations that covers up to two million dollars. More information can be found here about the specific guidelines we follow and the steps we take to ensure a safe flight.